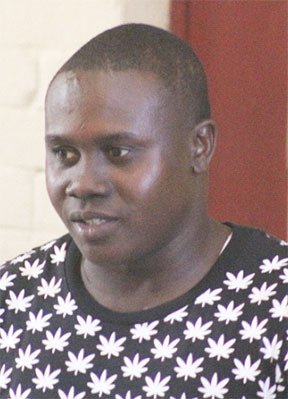 One of the accused in the robbery of two America Street money-changers was yesterday once again denied bail by a city court, where his lawyer claimed he was being harassed by police. A bail application on behalf of Troy Abrams was denied last Friday by Chief Magistrate Ann McLennan but his attorney nevertheless tried again yesterday. Attorney Mortimer Coddett, in his application for bail, told the court that Abrams, of 93 Crane Housing Scheme, has been constantly harassed by members of the police force ever since he gave evidence in a murder case. 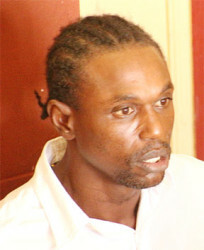 The lawyer reiterated the defendant’s earlier claim that he had been at home with his reputed wife at the time the America Street robbery occurred and reminded the court that his client was innocent until proven guilty. Prosecutor Deniro Jones maintained his objection to bail, while stating that the defendant had been identified during an ID parade. He also reiterated his fears of the possibility of witness tampering if Abrams were freed. His objection was upheld by the Chief Magistrate, who adjourned the matter to January 13, for statements. Abrams and his co-defendant, Anthony Primo, were last month charged with two counts of armed robbery. The charges alleged that the men, on November 3, at America Street, robbed Rayburn Fraser and Osafo Ward of $1,600,000 and $540,000, respectively, in local and foreign currency.